Vinny Paz always hoped the judges ruled in his favor during his storied boxing career, but the Rhode Island native and former champion faced a very different judge Wednesday in a Providence courtroom. That’s where the 55-year-old Paz was arraigned on a felony assault charge stemming from an alleged attack of another man that occurred early Tuesday in Providence. The flamboyant five-time champ, known during his fighting career as the Pazmanian Devil, was released on $5,000 bail and is due back in court in April, Providence police said. He was ordered to stay away from the accuser, 34-year-old Nathaniel Lavoie, WPRI reported. Providence officers responded early Tuesday to a home where witnesses said Paz had accused Lavoie of stealing $16,000 and then assaulted him, leaving Lavoie with broken teeth, a black eye, and marks from a bite that drew blood. But Paz and his business associate, Zena Sciarrino, have adamantly denied the allegations on social media, insisting the boxer, whose improbable comeback from a broken neck was chronicled in the 2016 movie “Bleed For This,” was the victim of a robbery by Lavoie, who has a criminal record. 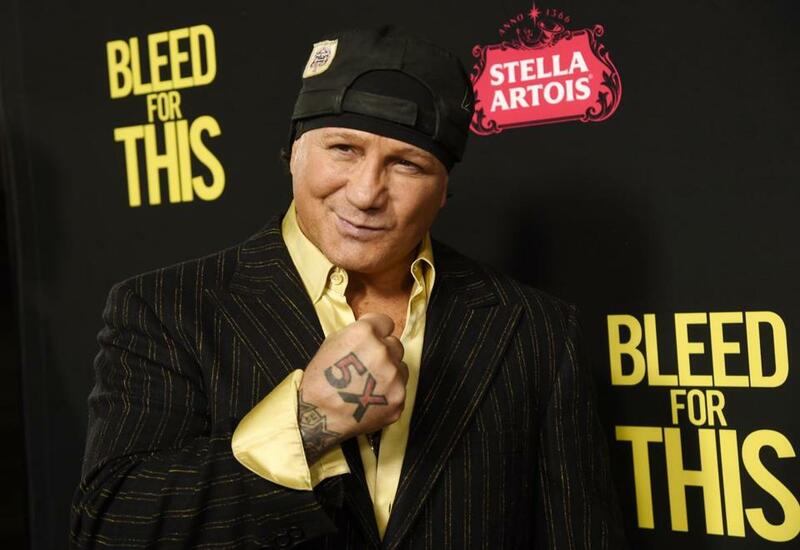 The retired boxing champion, whose comeback story was dramatized in the 2016 film “Bleed for This,” has been accused of attacking a Rhode Island man. Authorities confirmed Paz had made some type of allegation about his Warwick residence being robbed, but details on that incident weren’t immediately available. Paz was a two-time world champion when he broke his neck in a car crash in 1991, devastating many Rhode Islanders who feared he would never fight again. Their concern was not unfounded. Doctors told him he could never again lace up the gloves and that he was fortunate he wasn’t a paraplegic. They drilled four holes into his skull and fitted him with a halo, a metal-rod brace to immobilize his head. But they couldn’t contain him fully. Paz secretly lifted weights and worked out, despite the searing pain. Within a year, he returned to the ring and went on to win three more titles. His stunning comeback was dramatized in the Hollywood film starring Miles Teller as the gritty boxer. Notable victories during his pro career, in which he amassed a record of 50-10, included two wins over Panamanian legend Roberto Duran, whose nom de guerre, “Manos de Piedra,” translates to Hands of Stone. Duran was portrayed in “Bleed For This” by Worcester light heavyweight contender Edwin “La Bomba” Rodriguez. Paz has had prior brushes with the law, including no contest pleas in 2012 for disorderly conduct and 2007 for drunken driving, according to court records. After Paz made bail Wednesday, he put out a succinct message on Twitter. Material from the Associated Press was used in this report. Stan Grossfeld of the Globe Staff contributed to this report. Travis Andersen can be reached at travis.andersen@globe.com. Follow him on Twitter @TAGlobe.